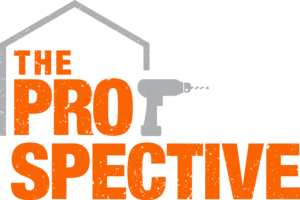 * This post is sponsored by DecoArt. 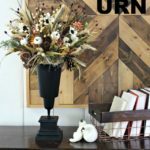 Fall is by far my favorite time of year and naturally I love all the fun Fall festivities that come along with the season. 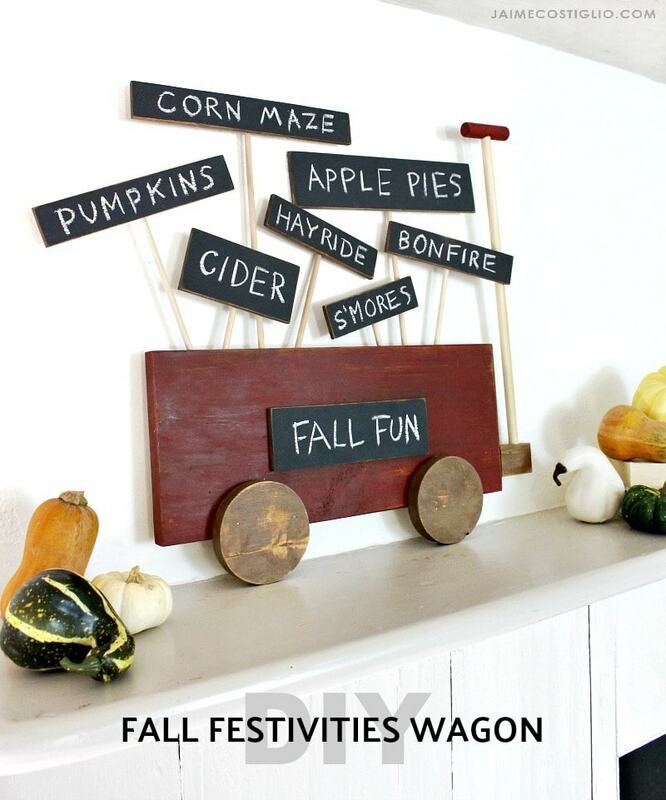 I made this Fall festivities wagon to hold all the Fall bucket list items and I’m sharing the how-to down below. 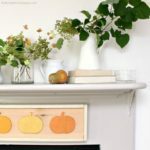 Make this easy scrap wood wagon using DecoArt Americana Decor chalky paint. 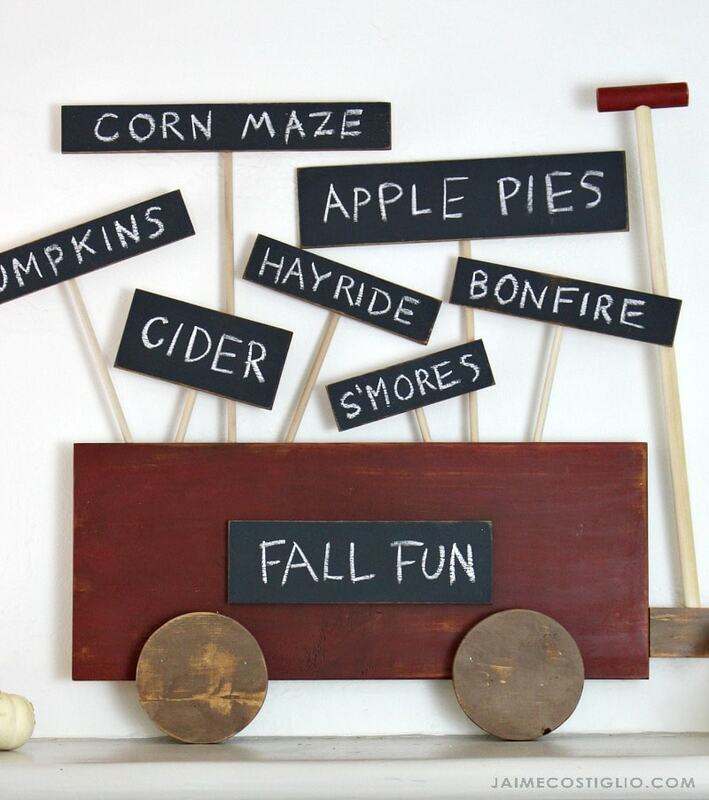 Then use chalk to add all your favorite Fall festivities onto the signs in the wagon. Raid your scrap wood bin for this one and you can make your wagon any size to fit your space. 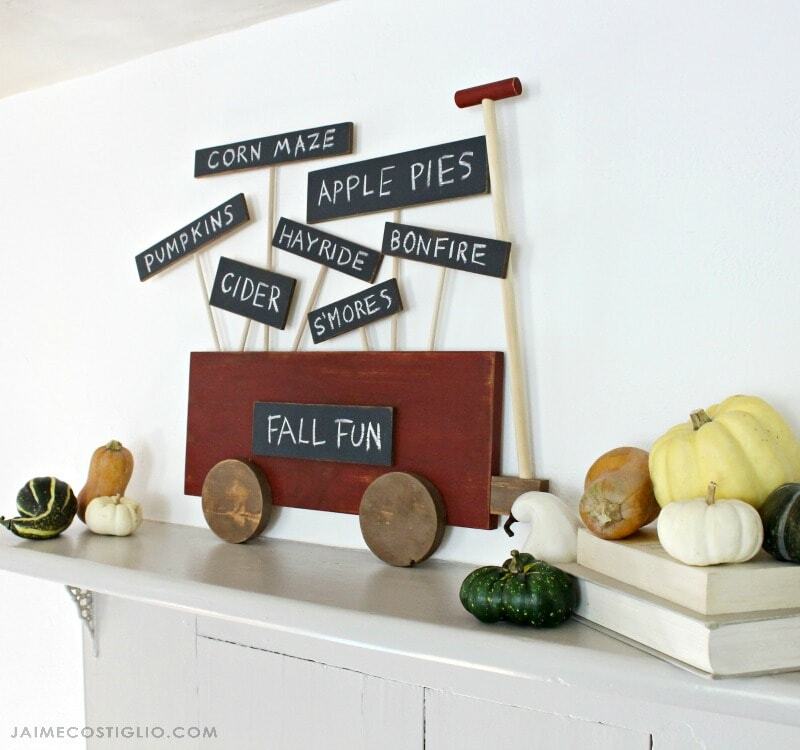 Add as many or as few signs as you like and then write down all your favorite Fall activities. 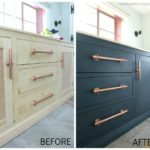 This wagon is painted with DecoArt Americana Decor Chalky Paint which gives that opaque matte finish with just one coat. A fun reminder of what Fall weekends are made of: hayrides, corn maze, apple pie, donuts, pumpkin, cider, smores, bonfires and more! 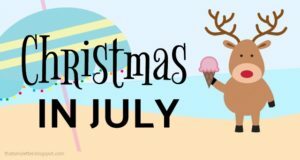 Step 1: Cut the 1×8 to 19″ long. 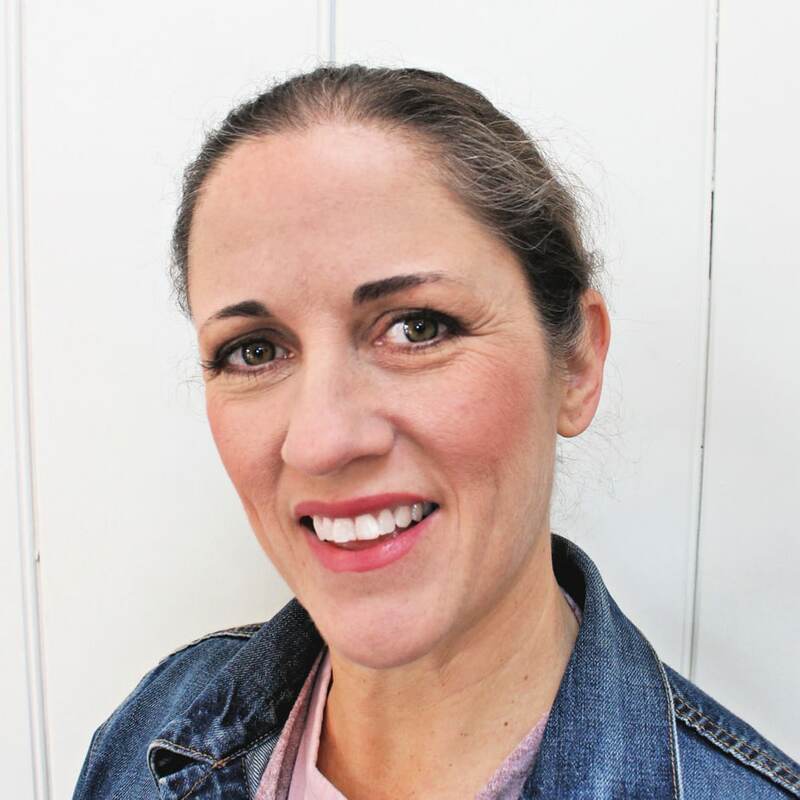 Using a jig saw cut the 1×5 scraps into 4″ circles. Cut a short 2″ piece of 1×2 for the wagon handle. 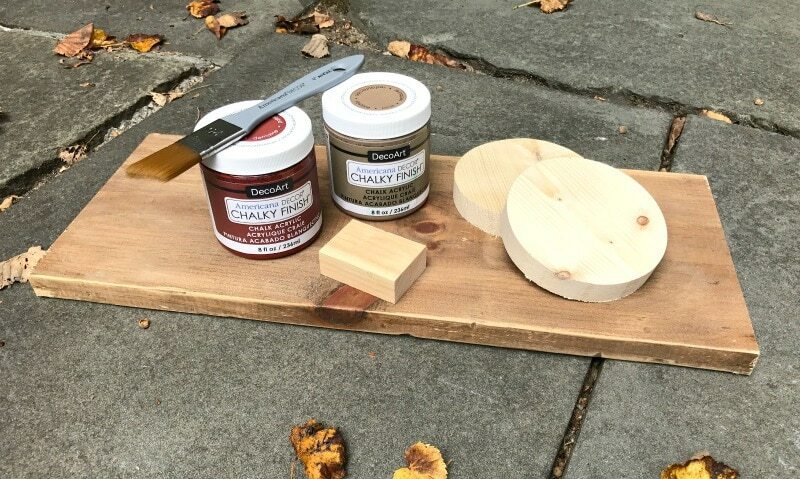 Paint the wagon parts as desired using DecoArt Americana Chalky Finish. Step 2: Once dry sand the wagon body and wheels smooth. 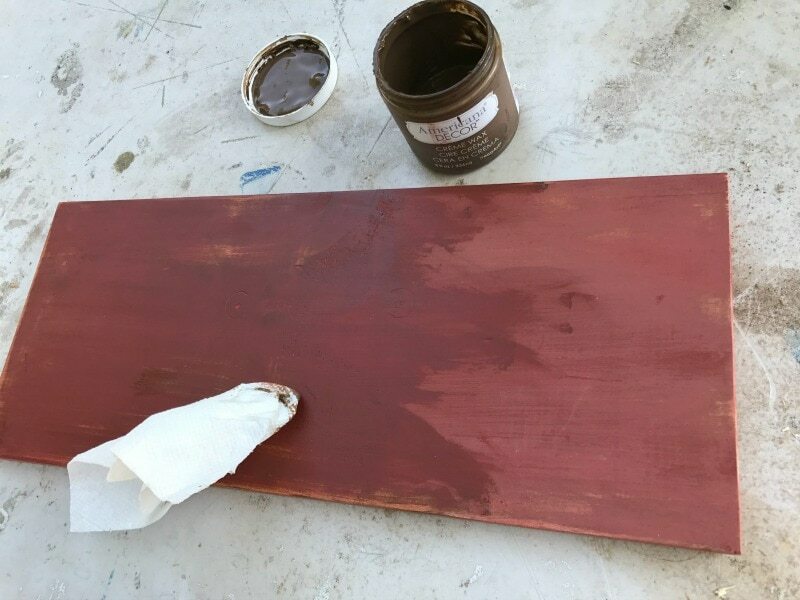 To deepen the color and seal the paint apply DecoArt Americana Decor Creme Wax in deep brown. 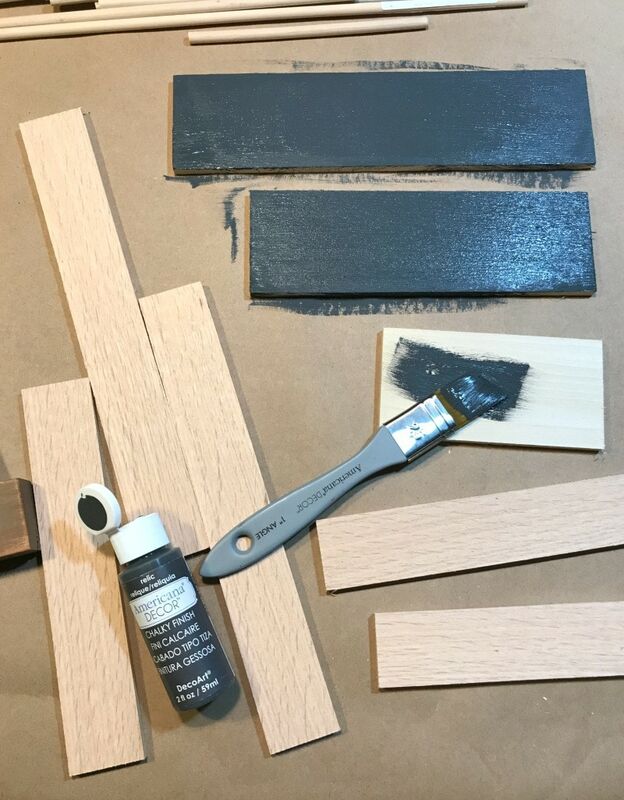 Step 3: For the signs cut the 1/4″ plywood into strips and paint using Americana Decor Chalky Finish in Relic. Step 4: Attach the wheels and wagon sign to the wagon body using wood glue or nail gun. 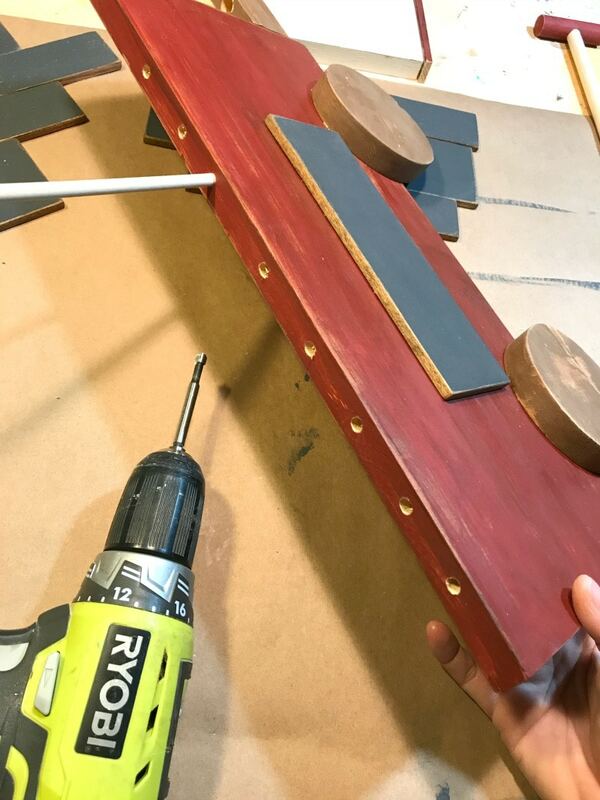 Predrill holes for the sign dowels using a 1/4″ forstner bit. Change up the angle of the bit for each hole. Insert the dowels and hot glue the sign pieces to the dowels at back. 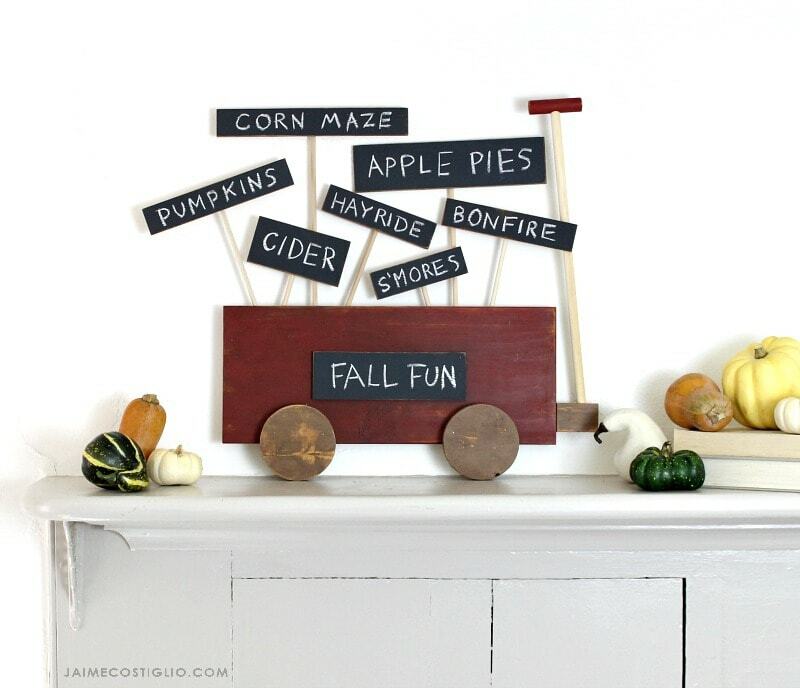 Use chalk to add all the fun Fall bucket wagon list items. 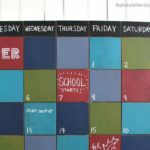 Regular chalk works great on chalk paint and this way you can personalize the words as you like. Off to enjoy all the Fall festivities!